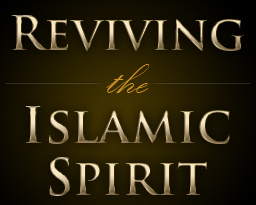 December 12, 2103 This year, the 12th edition of the Reviving the Islamic Spirit (RIS) convention is scheduled to take place in Toronto from December 27 to December 29. Year after year, this convention features speakers close to the Muslim Brotherhood. This year, Abdallah Bin Bayyah, Jamal Badawi, Siraj Wahhaj, Tariq Ramadan and others have already confirmed their presence. Last year, one highlight of the convention happened before its opening when its Diamond sponsor IRFAN-Canada withdrew its sponsorship after Point de Bascule pointed out that this organization was Hamas’ fund collector in Canada. Its charitable status had been revoked in 2011 by the Canada Revenue Agency precisely for its funding of terrorism. Since the last RIS convention, CIBC notified IRFAN that it would no longer do business with it. The bank acknowledged that its decision ‘was related, at least in part, to the concerns raised by the Canada Revenue Agency.’ Clearly, CIBC did not want to be the middleman enabling terrorist operations. IRFAN appealed the bank’s decision but lost on July 5, 2013. Ten days later, IRFAN announced that it was suspending its operations. On July 16, 2013, Hamas leader Issam Adwan called for the recruitment of ‘manpower assistance’ among Muslims in preparation for jihad attacks to be launched in countries where Israeli embassies are located. When police chiefs and politicians participate to RIS conventions, they enable a direct threat to Canadians and their institutions. Muslim Brothers were instrumental in the founding of the World Assembly of Muslim Youth (WAMY) and the organization continues to enjoy close relations with the global Muslim Brotherhood. U.S. government agencies and officials have argued that WAMY has helped spread Islamic extremism around the world as well as sponsoring terrorism in places such as Bosnia, Israel, and India. In May 2013, Ahram Online published a very useful history of the tumultuous and sometimes difficult to understand relationship between Saudi Arabia and the Global Muslim Brotherhood.